This is the third out of three sequential workshops. In this workshop we print the negatives we have done either in the past days at the workshop or negatives that we will bring from home. We will make silver-gelatine enlargements from glass or film negatives up to 8×10″ format and salt print contact copies from the collodion or film negatives. Two days photography workshop in the best darkroom that I know, at VIST College in Ljubljana. 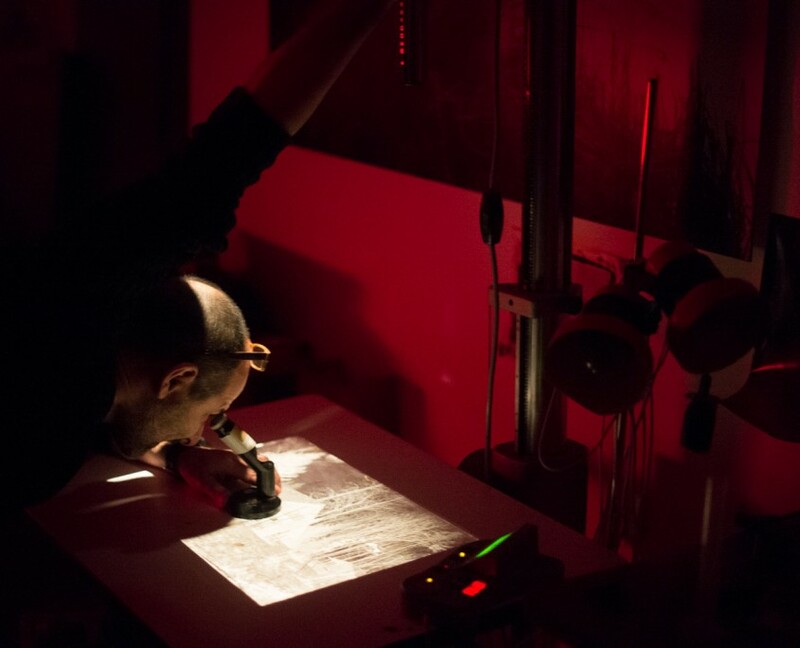 Each of the participants will make several contact copies, on silver-gelatine and as a salt print process. Each of the participants will make a big format enlargement. One enlargement 50 x70 cm is included in the the price of the workshop, but it is possible to print a photograph 100 x 150 cm. Then we will tone our prints and learn advanced toning technique of split toning with sulphide and selenium toners. The workshop is limited to five people, but still we expect that we will have a nice mixture of collodion and film photographers. 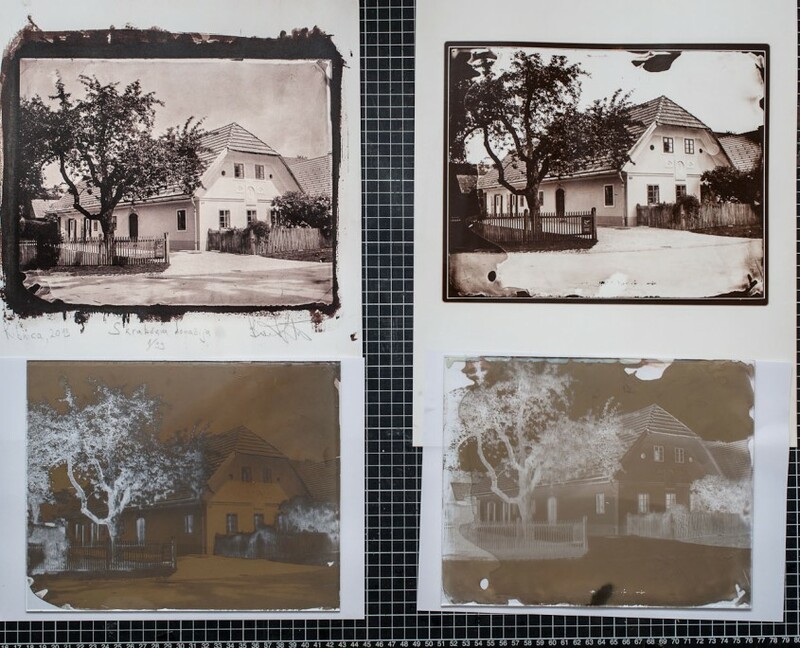 Two day workshop costs 350 EUR and that includes all material costs, from large format silver-gelatine photo papers, salt print chemistry, toners (sulphide, selenium, gold-chloride). The prints will be printed in different sizes, each of the participants will make one big print size 50x70cm. Printing a print size 100×150 cm is possible, upon additional charge of 100 EUR. The price does not include food and accommodation. The workshop is limited to five participants and you get your place by paying the reservation of 100 EUR. The rest you pay at the start of the workshop. The reservation fee is not refundable. You will receive our support in organising the most suitable accommodation for your needs. This is the second out of three sequential workshops. In this workshop will do a photography expedition in deep forest, even to the edge of the oldest virgin forest in Europe. Out of respect we will not enter the virgin forest, but we will hike on it’s edge, the protected area surrounding the virgin forest that is just as photogenic. The transport for cameras, tripods and preprepared plates will be organised, hopefully with mules, also lodging, drinks and food will be organised. 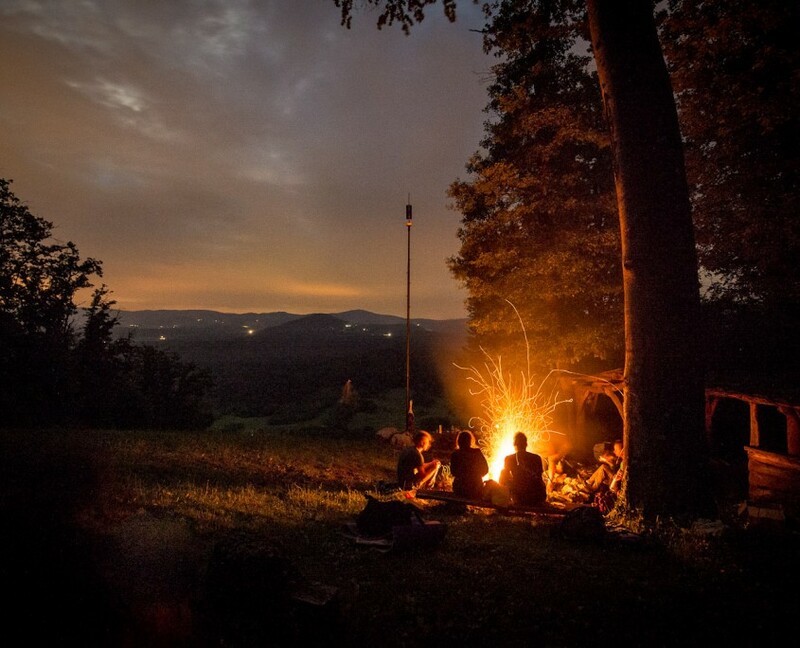 In the evening, under the stars, by the bone-fire, we will have a slide projection from 6×6 slides and a talk. Two days photography expedition in deep forest, with lodging, food, drinks and transportation. 30th of April and 1st of May, 2016. The hiking photography expedition is open to all photographers, dealing with any kind of photography. We expect that we will have a nice mixture of dry collodion plate photographers, large format film photographers, film photographers and also digital photographers. Two day workshop costs 250 EUR and that includes all material costs. It does not include food and accommodation. The workshop is limited to ten participants and you get your place by paying the reservation of 50 EUR. The rest you pay at the start of the workshop. The reservation fee is not refundable. Good hiking boots, clothes, photo gear and most importantly good will! This is the first in the series of three sequential workshops. First there days we will be working on collodion negatives, preparing a set of negatives for the next two days, when we will do a photography expedition in deep forest, even to the edge of the oldest virgin forest in Europe. The transport for cameras, tripod and preprepared plates will be organised, hopefully with mules. The third part of the workshop will be happening in the best darkroom that I know, at VIST college where we could do huge silver-gelatin prints with 8×10″ enlarger and / or salt print contact copies. Three days advanced workshop of wet plate collodion negative process and dry collodion negatives. The negative we will proof print as silver-gelatin prints and salt prints. 27th, 28th and 29th of April 2016. Wet plate collodion photographers who have know how to make an ambrotype or a tintype and are ready to move on to the next level. Three day workshop costs 500 EUR and that includes all material cost. It does not include food and accommodation. You will receive notes with all the informations and key points of the process. All the materials and cameras will be available. Bring note book and also a camera or a phone will be helpful to record the crucial steps of the process. The goal is that each participant will make several negatives with different densities for different printing processes. Redeveloping. The second development after fixing, for boosting density of collodion negative. Exposing and developing dry collodion negatives.